First impressions are hard to forget, and the image of my dad&apos;s Franzia White Zinfadel box wine from the 80s left a serious thorn in my side about the quality and class of boxed wines. But times have changed. In recent years, boxed wine has improved its image and, most importantly, its taste. Here&apos;s why you should hop on the box wine bandwagon with me. Now, box wine is in regular rotation in my shopping cart. No, it&apos;s not what you pull out for a romantic dinner for two or when you&apos;re trying to impress your new boss who&apos;s over for dinner. But box wine is a superior choice for many occasions like picnics, travel, camping, entertaining and for your weekday dinner vino. Here are five reasons you should be drinking box wine. 1. Better for your wallet. It&apos;s the Costco/Sam&apos;s Club rule of bulk - buying five bottles of wine combined together is cheaper than buying five individual bottles. With most boxes averaging between $25-$35 dollars, you&apos;re getting very affordable per bottle price. 2. Better for the environment. It&apos;s true! According to Forbes, the total energy used to produce one box of wine is about 1/3 the energy required to produce a glass bottle. This means a carbon footprint one-half the size of a wine bottle. 3. Space-saving for your fridge and cooler. Most wine boxes hold the equivalent of five bottles of wine at about half the space (or less!). Boxed wine can also be compacted even more by removing the internal bladder from the cardboard box. While it&apos;s a little like holding a bagpipe when you&apos;re trying to pour, it&apos;s much simpler to throw in your cooler for a picnic, backpack for the live music concert that doesn&apos;t allow glass or, ehm, your purse, if the situation arises and you don&apos;t own one of these. 4. The wine lasts longer once opened. The secret is in the bag - literally. Boxed wine is vacuum-packed into plastic or foil bags which collapse upon themselves as you pour, preventing oxygen from getting in (wine + oxygen = oxidation = bad for flavor). This doesn&apos;t mean that boxed wine is meant to be aged (it&apos;s definitely not), but once you "open" a boxed wine, it can last for weeks. We&apos;re talking 4-6 weeks easily if it&apos;s a push or twist spout (slightly shorter for those with screw caps). This makes boxed wine a great choice not only for parties and traveling, but for those of you who don&apos;t drink wine often but want to keep it on hand for a spouse, dinner guests, or cooking. 5. There are now great tasting boxed wines! Box wines have come a long way in terms of flavor and complexity from my dad&apos;s Franzia White Zin. But it&apos;s still important to compare apples to apples. Expect box wine to go head-to-head with your favorite everyday quaffing wine, not that decade-aged anniversary bottle you&apos;ve been saving. Black Box Wines - A great place to start for reds and whites. The brand has won many awards for their wines including 48 gold medals and 27 “Best Buys” from Wine Enthusiast Magazine. Try their Cab and Merlot for bold reds or their Riesling or Sauvignon Blanc for perfect picnic wines. Best of all, the sleek black box classes it up a bit. Bandit Wines- Bandit Wines is known for their crisp Pinot Grigio and earthy Cab or you can opt for their Moscato dessert wine for a sweet finish to dinner. An added benefit, Bandit Wines come in both 1 liter and 500 ml sizes which means you can buy a big one to share or single-serve portion for your picnic for one. Big House Wines - It&apos;s most popular box wine is its Big House Blend. True, it&apos;s a blend of 14 different varietals, but think of it as a really decent choir. There isn&apos;t a soloist in the group you want to listen to, but together, well, they make a pretty nice sound. Bota Box Wines - Bota Boxes were my go-to wine during our month-long road trip this summer. The slim box makes them easy to stack and store, and I can personally vouch for the Cab, Shiraz, and Chardonnay. Available in both 1L and 500ml sizes. 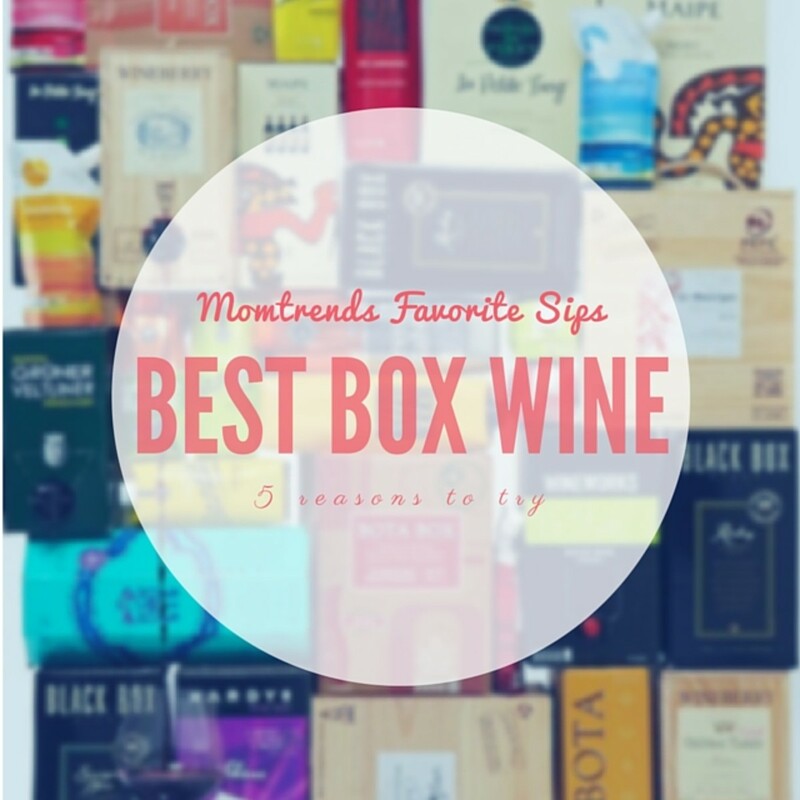 Next on my list is trying a box wine from Wineberry (loving the wooden box!) and From the Tank&apos;s Vin Rouge which I&apos;ve seen on top box wines lists everywhere. Notes of smoky red fruit, baking chocolate, velvety tannins and a dash of black pepper? That sounds like my cup of tea...errh, (box) wine. Afraid to try box wine? Have a favorite you love?